Finally doing a trip to New York in March. But before I go there, I had to find a place to stay. It is so annoying to look for hotels in such a big city! Omg the options were driving me crazy! I have been looking and looking for months and it came down to two options, and this is one of them. New York has only recently came up to me as an idea, and the reason is because Air Serbia now has a direct flight from Belgrade which I really want to try out and investigate. Most of my friends have already been to New York except me! A lot of people say they fell in love with it the moment they landed, and I would really hate to miss on an opportunity to fall in love with this city. But I need to sleep somewhere! So I found ROOM MATE HOTELS and what I found interesting was that they all have names like people. Grace is their New York hotel and the location is unbeatable. It is literally right next to Time Square! I think it is a great choice because it is so close to everything I want to do and it looks really, really nice inside. I prefer boutique hotels to big chain hotel because they have better service and care about their customers more. 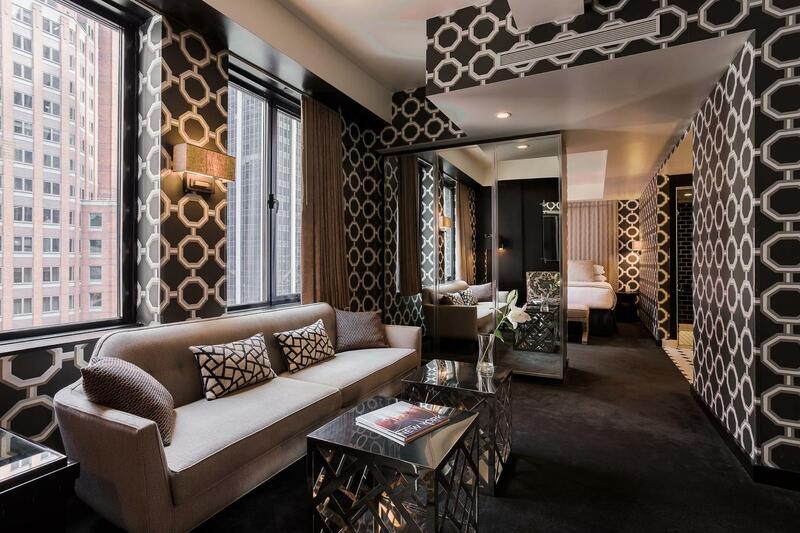 Grace hotel is very special due to its design and location in Manhattan. They have managed to make small spaces very inviting making sure you feel comfortable during your stay. They also have a heated indoor pool, a sauna and a gym, making sure those who are more active can continue their routines. It’s really not just a hotel for business people or couples. They have twin and quad rooms, making it exceptionaly great if you are travelling with friends. Not a lot of hotels offer these types of rooms and those that do are usually hostels and you sleep with people you don’t know, which is not really my cup of tea. Looking at prices it is super affordable. Giving its location, service, amenities and design, $124 per night for 2 people in a standard room is really not a lot. If I compare it to London prices , it is super super cheap! This price was generated for me for the dates I am looking for, but if you choose different dates the price might go down or up. If you want more comfort, the Junior suite is only $20 more! I added some photos below, and I could really use your advice on this one! Let me know what you think and help me make my stay memorable. I promise a proper review once I am done with my trip! I also added the link to the guide of New York in case you are interested to visit. You can check the flights and everything over skyscanner – that’s how I usually book flights.